If you have an Apple TV and a SiliconDust HDHomeRun, you should check out Channels. Currently only unecrypted channels will work, which is understandable, but still somewhat dissapointing. 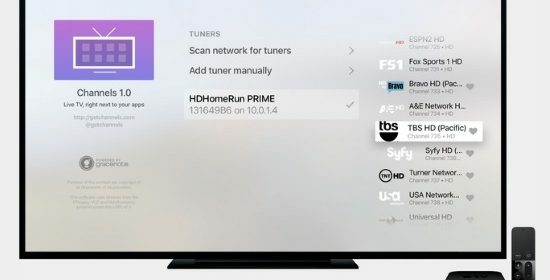 Channels uses your supported HDHomeRun device to play live TV directly on your Apple TV. Now you really can have one device to rule them all.